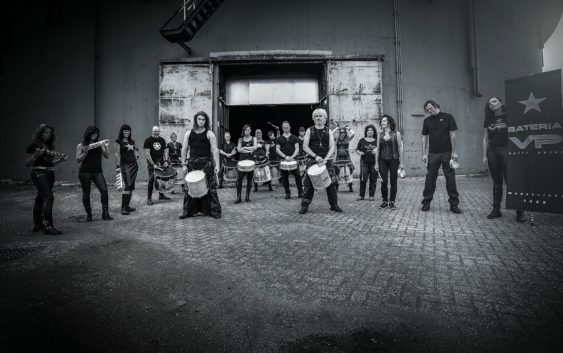 Bateria Volle Petaj was founded 25 years ago during a carnival in their hometown Maastricht (The Netherlands). While pioneering the South American percussion style they searched after and worked on their own recognizable sound. Being the oldest samba/percussion band in Maastricht they’ve written history under the name “Volle Petaj” since 1992. 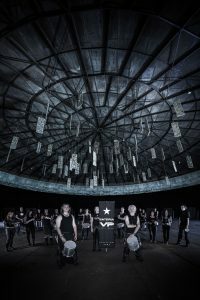 The group developed into a unique formation of spirited percussionists and have built up a firm (inter)national live reputation. Volle Petaj (Maastricht dialect for “strength“, “giving everything you have” or “singing from the top of your lungs) plays Brazilian percussion based styles such as Batucada (fast rhythm from Rio de Janeiro and São Paulo), Samba-reggae (cooler groove from North-East Brazil), Maracuta and Samba-funk. These musical styles mixed with non-samba related influences form the basis for the unique sound of this group. This black dressed group which flirts with mysticism and a sometimes “macabre” image (with a light dose of black humor) stand in strident contrast with the charisma during their dynamic performances. Using these contrasts the group illustrates that Brazil, the main inspiration of their music, also has two faces! 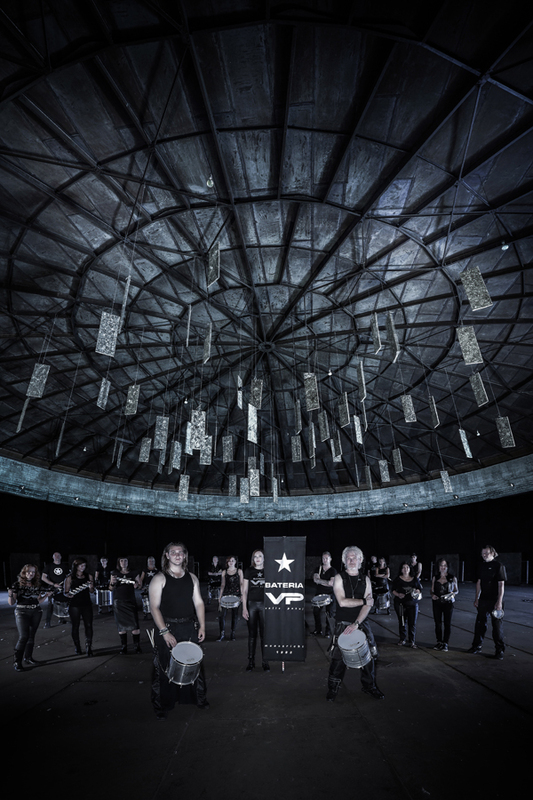 Those who see Bateria Volle Petaj performing in the streets soon realise that this isn’t just a percussion group. Improvisation and interaction with the audience form the formula for success of the group. With this approach, they’ll always find a way to captivate and play with their audience, making their spirits and bodies move.